Inside was a catalogue for ‘Lewis Baltz’, the precisely hung 2013 exhibition of his groundbreaking ‘central achievements’ at the Albertina, Vienna. It was inscribed to me and my wife Catherine, and signed ‘L’, in a sort of Zorro way. It had reached New Zealand about two-and-a-half weeks after his death. 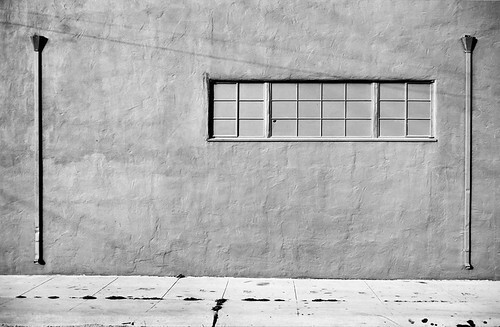 Lewis Baltz by John Gossage. 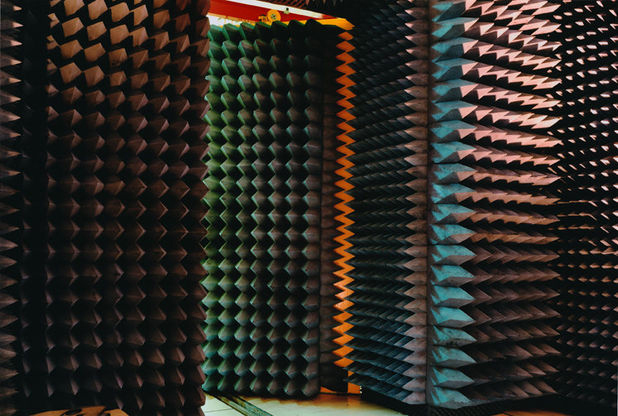 Top: Lewis Baltz, Sites of Technology, Anechoic Chamber, France Télécom Laboratories, Lannion, France, 1989–91. At this ridiculous distance, around the other side of the world, times, dates and sequences of events are critical when processing the death of a dear friend. On 11 November 2014, eleven days before Lewis died, he sent me a magazine picture by email of a fine grey mare with President Reagan astride – a riposte, I assumed, to Body of Work (my procreating horses series). On our unhurried walks about Venice and more often Paris, we seldom discussed photography or art in any direct sense, more writing, politics and the state of an unpleasant world. Once, I spoke of W. G. Sebald’s The Rings of Saturn. He was impressed by the work, and within a week had read everything of Sebald’s in print. It was seldom you could bring something new to Lewis, because he’d read and thought deeply in his time about a swathe of territory. 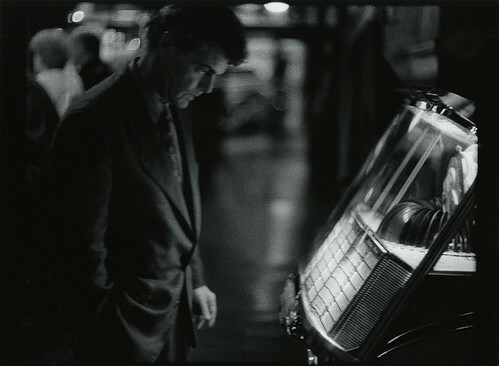 His assessments about art in a three-minute Tate Shots, and his thoughts cast wider in Lewis Baltz Texts, his collected writings published by Steidl, manifest the capacity and intellect of a man whose work is at the top of the canon. 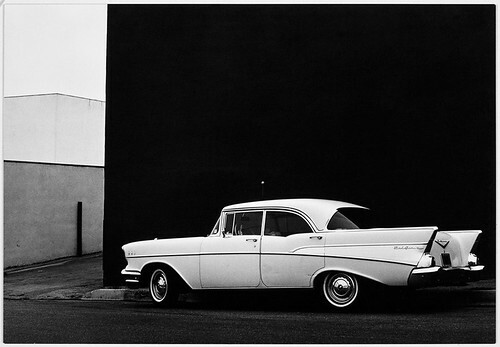 Lewis Baltz, The Prototype Works, Monterey, 1967. 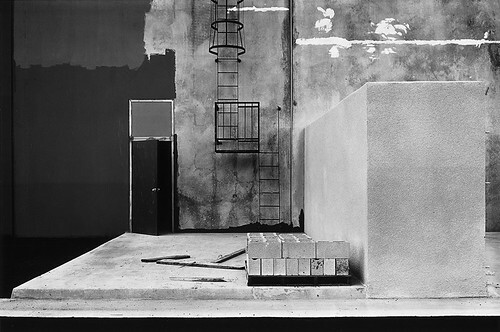 Lewis Baltz, The Prototype Works, Santa-Cruz, 1970. Lewis Baltz, The new industrial parks near Irvine, California, Construction detail, East Wall, Xerox, 1821 Dyer Road, Santa Ana, 1974. 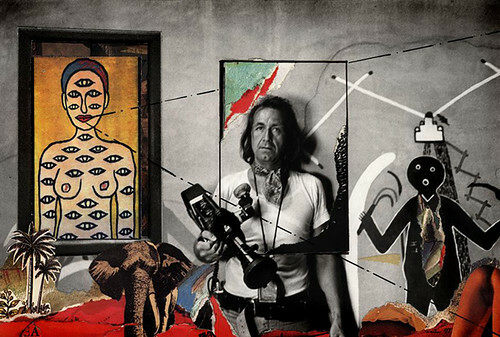 René Burri, collage (1983) using self-portrait made in Coronado, New Mexico 1973. René Burri. 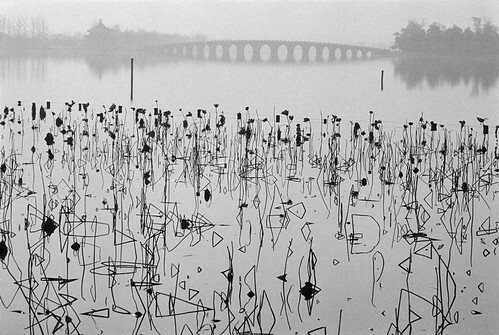 Dead lotus flowers on the Kunming Lake, Former Summer Palace, Beijing 1964. Catherine and I brought René and Lewis together in 2009 at Bastille aboard our barge to celebrate my birthday with a group of friends. That year, René asked to swap a photograph. He was specific. It was an image from I Saw You, my first book of a changed approach, of an out-of-focus woman in a summer dress, leaning back sunbathing with her dress unbuttoned (see below). Of his, I chose a 1963 image of Fidel Castro speechmaking in Havana. Not a famous image. One of my favourite René Burri books, Berner Blitz, the second in a trilogy published by Edition Dino Simonett, has very few of his famous images, and is in a narrative so odd that the book is completely a crazy marvel. When we heard René had died, Catherine put me on a plane to Paris the next day. By Dubai, I realised that his funeral would be in Zurich for the family only, to be followed later by memorial services in Zurich and Paris, when I would long be back in the bush on the margins of Auckland. So I wandered by some of our Paris meeting places, and cast my mind back here and there. And then Lewis. In New Zealand, Catherine and I held our own, private memorial ceremony, dressed in black on the deck of our house in the New Zealand bush, just before sunset, an hour or so ahead of Lewis’ service at the Catholic Notre Dame des Blancs-Manteaux. 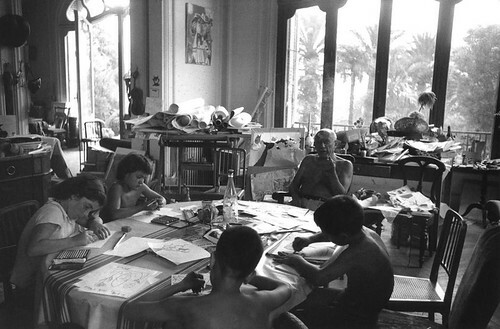 René Burri, Villa ‘La Californie’, Town of Cannes, Provence Alpes Côte d’Azur region, France, 1957. 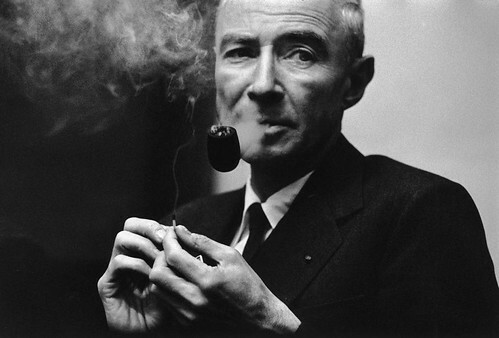 René Burri, Robert Oppenheimer, 1960. 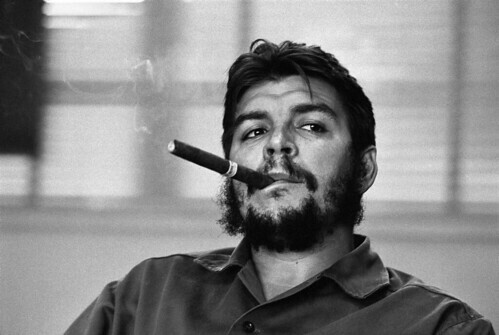 René Burri, Ernesto (Che) Guevara, Ministry of Industry, Havana, Cuba, 1963. Six Photographs: René Burri for Port magazine, 2014. Interview: Matt Willey. Directed by Anthony Austin. Bruce Connew, from the series ‘I Saw You’.